There's something wonderful about the combination of sweet and spicy to me. I've been a fan of the "sweet and savory" combination for years. When I first came across this recipe years ago I loved it and saved it. I tend to write down recipes, put them away and forget about them. So as I was going through my recipes, that I keep in a giant binder, I found this one and decided to give it a try. After I made it I realized that I could improve it and make it less work by doing something differently. Sometimes when I film my videos it will often be the first time I've made the recipe because I want my subscribers to get an honest opinion of it. Which is evident in my Oopsie Bread video. 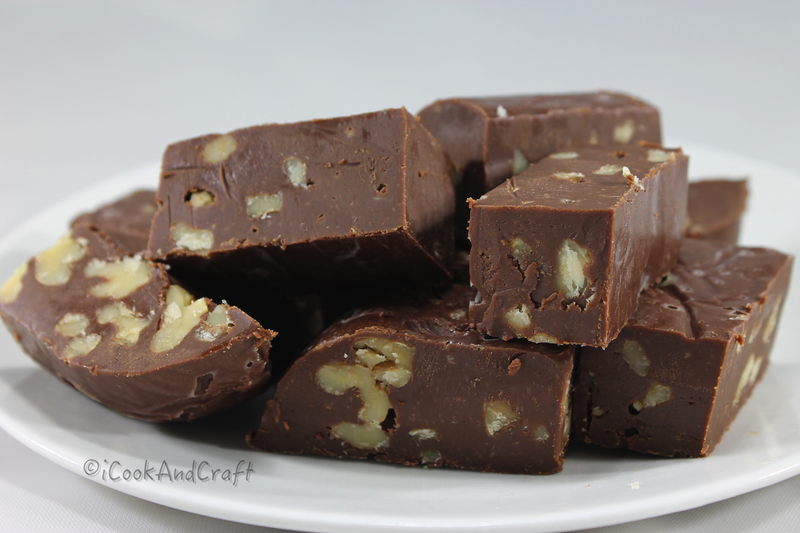 The next time I make this fudge, or any other fudge that requires similar ingredients, I will definitely add them with the condensed milk. 3 cups of milk chocolate or you can use semisweet chocolate or a combination of both. In my video you'll see that I used 2 cup of milk chocolate and 1 cup of semi sweet chocolate. 1/4 teaspoon of cayenne pepper. You can add half of that 1/8 tsp, if you want it less spicy. I didn't think that 1/4 tsp made it too spicy but some people have a different tolerance spicy foods so you can certainly make it less spicy if that what you like. Line an 8x8 pan with foil or parchment paper and set aside. In a heavy bottom saucepan over low heat, heat the condensed milk. In the video I add the chocolate after this point. But when I make it again, and if you decide to try this recipe, I suggest you add the cinnamon, cayenne and vanilla and make sure it's well incorporated into the milk before you add the chocolate. After all the ingredients are added cook on a very love heat until all the chips are melted. take it off the heat, add the nuts and put it into your pan that you've set aside. Let it chill for at least 4 hours in the refrigerator. After it's set pull it out of the pan, remove the foil or parchment and cut into bite size pieces. Here's a link to a site that will give you ideas on.... How to store and keep your fudge fresh.